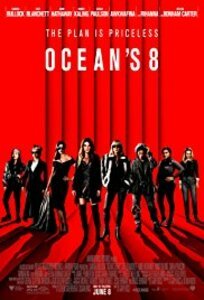 The Stratford Library’s popular “Monday Matinees” series continues with a screening of the hit heist film, “Ocean’s 8” on Dec. 10 at 12 p.m. The series, which presents recent, popular films monthly on Monday afternoons, is free and open to the public. Movies in the “Monday Matinees” series are shown uncut on widescreen in the Stratford Library’s Lovell Room. The new film series for 2019 will be announced soon. The Stratford Library is located at 2203 Main Street in Stratford, Conn. For further information, call the Library at (203) 385-4162 or visit stratfordlibrary.org.